Thoughts from an everyday . . . writer! This entry was posted in BLOGGING, POETRY and tagged cafe, cheese, fern, Fiddlehead fern, Frittata, frond, Goat cheese, Minute Poetry Pattern, poem, tummy ache. Perhaps it is an acquired taste Freeda! Your poem makes me smile, and wish for some good Irish brown bread. I don’t know if I would like them either, Freeda…but I did read that the flavor resembles asparagus, which I love. Like them or not…I loved your poem. Very fun! Hi Penny. Yes, this has been fun. 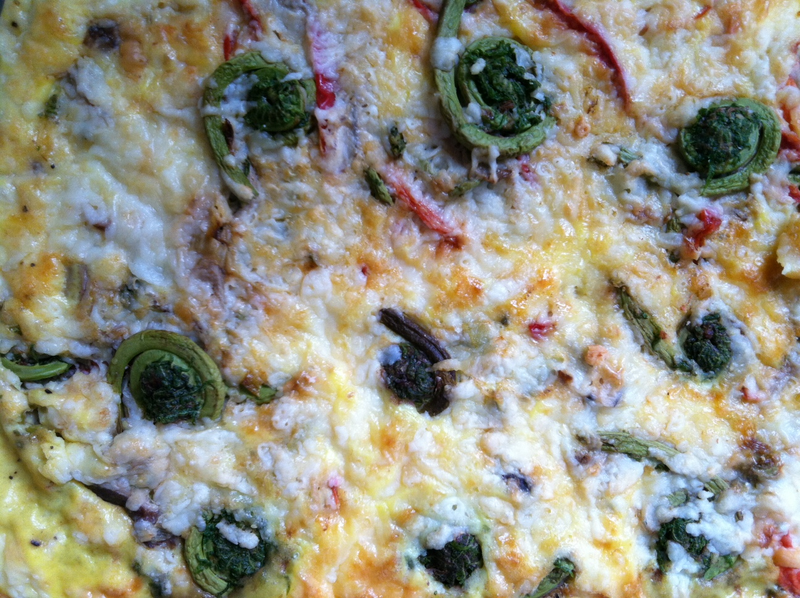 I doubt that my poem is convincing enough to prevent anyone from trying Fiddlehead Frittata. 🙂 All in fun! I’m now following your blog and looking forward to it. Have seen you mentioned often by Catherine. I am smiling away over here – such fun! How I wish I could have you over to taste some fiddleheads…they truly are delicious. Thank you very much for the poem – I was so surprised! xo, a.
Hi Amy! I’d love to try the fiddleheads. Probably I would like them. My poem sort of “traveled its own way” and I worried a bit, then decided to go with it! 🙂 I visited your blog and love it. I tried to sign up for email subscription but can’t get it to work. Will definitely try again. Glad we surprised you. And brought you a smile. Thanks to Catherine Johnson. And thank you to you! I am simply delighted! I’ll look into the e-mail subscription…thank you! How interesting… and I think the poem was the cutest! I, too, am going to check it out. 🙂 It was fun to look this up and then write a poem at the request of poet friend. As one of my grandsons says, “It doesn’t sound delicious! That’s a good answer! Cute! I enjoyed your take on the fiddlehead frittata conundrum. I’m with you — they’re pretty to look at, but I’m not inclined to eat them! Thank you! In writing this at a poet friend’s request, it was interesting and enlightening for me! Brilliant, Freeda! I wonder what they taste like on their own. Do you mean you really don’t know? Now I’m curious. I had never heard of them. Where do they grow? I know they grow in woods and possibly by lakes but I’ve never eaten them. I will find out if they grow around here. Maybe they do. Ferns grow here. Believe me, Ginger Kemp Pruett, I did not know what it was until I checked dictionary.com. 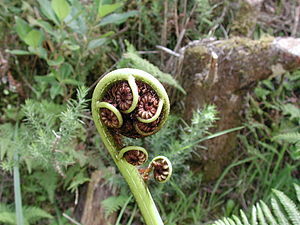 You see, I agreed with a poet friend that I’d be one of a few poets to write a poem about a fiddlehead to post tomorrow as a surprise for another poet. I sincerely hope my poem is in good taste. 🙂 I’m not sure I’d want to eat a fiddlehead, but I suppose they might be a delicacy. Welcome! I hope you enjoy the photos, my poetry and especially my writing, for with my every word I'd like to say "I love you, and remember me!" I truly love to write! And record Nature’s beauty! I'm happy you stopped by. Banner Mountain Girl # 48 -- "A poem begins . . ."